MUNRO, GEORGE, educator, publisher, and philanthropist; b. 12 Nov. 1825 in Millbrook, near Pictou, N.S., son of John Munro and Mary Mathieson; m. first 12 July 1855 Rachael (Rachel) Warren in Halifax, and they had a son; m. there secondly 14 Sept. 1864 Catherine Forrest, and they had a son and two daughters; d. 23 April 1896 at his summer home in the Catskills, N.Y.
One of ten children of a farmer, George Munro was apprenticed to the printing trade at the age of 12, probably in Pictou. After two years he left to further his education, first in New Glasgow and then, after supporting himself with teaching jobs for several years, at Pictou Academy between 1844 and 1847. On graduation he again taught school in New Glasgow, before becoming an instructor in mathematics and natural philosophy at Free Church Academy, Halifax, in 1850. Two years later he was appointed rector (principal). Although he prepared himself for the Presbyterian ministry and was highly regarded as a teacher, he resigned from the academy in 1856. Abandoning his clerical ambitions, he left Nova Scotia, for reasons of health according to his own account, and settled in New York City. In New York this Nova Scotian Horatio Alger began his journey from teacher to millionaire businessman by returning to the printing and publishing business. He worked first for D. Appleton and Company, where, according to an advertisement that appeared in the Halifax papers in 1861, he was involved in mail order and distribution for British magazines and books. In 1862 he moved to Ross and Tousey, then a year later to Beadle and Company, a pioneer in the production of cheap books. He left this firm in 1866 and, after a short-lived partnership with Irwin Beadle, soon struck out on his own with the publication of the Fireside Companion (later the New York Fireside Companion), a weekly family paper which would absorb his energies for the next ten years. The Fireside Companion found both readers and contributors in Nova Scotia, where Munro returned for frequent visits after his second marriage in 1864. In 1877 he started a series of reprints of modern English works called the Seaside Library in imitation of the Lakeside Library published by Donnelley, Lloyd and Company. It soon included fiction, history, biography, travel, and religious works, eventually comprising more than a thousand titles. In the absence of international copyright laws Munro, like his contemporaries, did not pay royalties to authors or permission fees to original publishers. As a result he was able to provide high-quality literature cheaply to North American readers. He amassed considerable capital, which he invested in a large printing plant and in the acquisition and development of New York real estate. 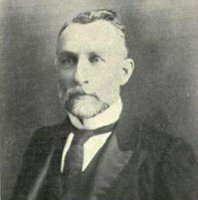 By the 1870s Munro was a rich man and could have bought the best education for his children, but it was presumably his continued attachment to Nova Scotia that prompted him in 1874 to send his 14-year-old son, George William, to Dalhousie College in Halifax. A non-sectarian, but basically Presbyterian postsecondary institution, Dalhousie had operated continuously only since 1863. In 1878, the year of George William Munro’s graduation, the college had an enrolment of 93 men and a teaching staff of 10. It was nearing the end of a five-year government grant and participation in the short-lived University of Halifax, an examining body for all provincially supported colleges in Nova Scotia modelled after the University of London. Faced with the imminent reduction of the government grant, which accounted for almost half of its income, and unable to pay competitive salaries for high-quality staff, the college was on the brink of collapse. During a holiday in Nova Scotia in 1879, Munro was alerted to the perilous condition of the college by his wife’s brother, John Forrest*, minister of St John’s Church in Halifax and the Presbyterian synod’s recent appointee to the Dalhousie board of governors. The college’s predicament struck a responsive chord in George Munro. Over the next six years, until his younger son, John, matriculated at Dalhousie in 1885, the publisher donated more than $300,000 to establish chairs and to provide a short-term program of tutorships and scholarships. John Munro thus studied at an institution where 7 of the 20 faculty members and 50 of the 163 students were supported by his father’s liberality. Munro endowed chairs of physics in 1879, history and political economy in 1880, English literature and philosophy in 1882, constitutional and international law in 1883, and a separate chair of English in 1884. The salaries attached to these five chairs, ranging from $2,000 to $2,500, doubled professorial incomes and raised the professoriate, perhaps unwisely, to a standard of living comparable to that of the social élite. In the short term, however, the chairs attracted several of the region’s most able young academics, men such as James Gordon MacGregor* in physics and Jacob Gould Schurman in philosophy. 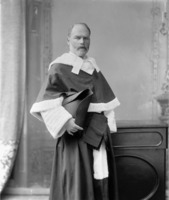 The endowment of the chair in law resulted in the founding of the Dalhousie law school, the first academic institution in Canada whose teaching was based on the common law [see Sir John Sparrow David Thompson]. The tutorships demonstrated the gap between Munro’s expectations for Dalhousie and local realities. They were essentially remedial teaching positions designed to bring students from the weaker high schools up to the level of their better-educated peers from Pictou Academy, Halifax Academy, and Charlottetown’s Prince of Wales College. The program of exhibitions and bursaries, amounting to nearly $85,000 and awarded on the basis of examinations, was also “so offered for competition as to stimulate to greater activity and efficiency the High Schools and Academies of Nova Scotia and the neighbouring Provinces.” Given the numerous occasions on which no scholarships were awarded, Munro’s concern for the quality of secondary education appears to have been amply justified. None the less, these scholarships enabled the first two women to enter the undergraduate program in 1881 and supported more than half of the first 25 female graduates of Dalhousie. Munro also donated books and journal subscriptions, not only to the college library, but also to the Citizens’ Free Library in Halifax and the reading-room of the Amalgamated Trades Union. Munro restrained himself from exercising undue patronage in conjunction with his gifts. 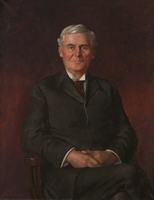 Admittedly he appointed his brother-in-law, John Forrest, to the most generously endowed chair, that in history and political economy, and he named individuals to the board of governors, as his donations legally entitled him to do. He refused himself to become a member of the board, preferring that kind of activity closer to home in the University of the City of New York. But with Forrest as Dalhousie’s president from 1885, Munro’s wishes were not in danger of being overlooked. In any case, he had ceased by the mid 1880s to add to his gifts, although he continued to meet his earlier obligations with quarterly payments until 1893, when a trust fund was established. He left the college no further bequests in his will; however, the board of governors successfully made a claim against the estate that added another $82,000 to the George Munro Trust Fund. Munro’s vital contribution to the welfare of Dalhousie was recognized in 1881 by the creation of a college holiday in his honour, an event that continues to this day. Munro was Dalhousie’s first major benefactor and the most generous donor to a Canadian university in the 19th century. Arguably Munro’s gifts to Dalhousie changed the whole course of university education in Nova Scotia. If the college had been allowed to collapse, as seemed likely in the late 1870s, politicians and educational administrators might have been forced finally to consolidate the various colleges in the province into a single university. As it was, Munro’s gifts gave Dalhousie a degree of independence that not only helped to increase its enrolment and to improve the quality of its faculty but also enabled it to begin its transformation into a full-fledged university through the establishment of professional schools. In a sense, then, the Munro endowment was a mixed blessing. Munro’s generosity did little, moreover, to stem the tide of migration of talented people from the Maritimes. Those who left were better educated, and they included some of Dalhousie’s most able students and its most brilliant faculty members. Munro’s own son-in-law, J. G. Schurman, left Halifax in 1886 for Cornell University, where he became president. 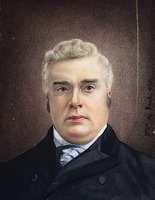 Munro himself was a precursor of the later exodus, and his success demonstrated why human resources had become the most important export from the Maritimes by the late 19th century. But Munro, like Izaak Walton Killam* and Sir James Hamet Dunn* in the 20th century, returned with generous interest the investment his native province had made in him. DUA, MS 1-1, A, 1879–1901; B, George Munro letters, 27 Jan. 1881; 11 Oct., 1 Nov. 1884; 30 March 1889; MS 1-6, cash-books and ledgers, 1879–1900; George Munro letters, 26 March, 27 Dec. 1887; MS 1–7, matriculation and registration books, 1874–98. PANS, RG 32, M, 189, no.26; WB, 65, no.150. Memorial of George Munro, born November 12, 1825, died April 25, 1896 (New York, 1896). Dalhousie Gazette (Halifax), 15 Nov. 1879; 18 Nov. 1880; 11, 25 Nov. 1881; 3 May 1882; 13 Jan., 23 Nov., 24 Dec. 1883; 14 Feb., 30 April, 10 Nov. 1884; 23 Jan., 6 Feb., 4 May, 14 Nov. 1885; 16 Jan., 15 Dec. 1886; 23 April 1887; 31 Jan. 1889; 20 Dec. 1893; 11 May 1896. Halifax Herald, 8 Sept. 1894; 24, 29 April, 5–6 May 1896. Morning Chronicle (Halifax), 22 Aug. 1879; 3 Nov. 1880; 26 Oct. 1881; 10 June 1882; 25 Jan., 14 Feb., 10 Aug. 1883; 24 Jan., 9, 12 Feb., 5 April, 31 July 1884; 30 June 1885; 5–6 Feb. 1886; 29 April 1896. Morning Herald (Halifax), 27 April 1887, 2 Feb. 1889, 14 Jan. 1891. New-York Times, 25 April, 5 May 1896. Novascotian, 11 Oct. 1851, 19 July 1852, 24 Jan. 1853, 8 April 1854. Presbyterian Witness, and Evangelical Advocate, 11 Oct. 1851, 8 April 1854, 23 Oct. 1856, 5 Oct. 1861. Belcher’s farmer’s almanack, 1853–57. DAB. Dalhousie College and Univ., Calendar (Halifax), 1874/75–1899/1900. A. E. Marble, Nova Scotians at home and abroad, including brief biographical sketches of over six hundred native born Nova Scotians (Windsor, N.S., 1977). P. R. Blakeley, Glimpses of Halifax, 1867–1900 (Halifax, 1949; repr. Belleville, Ont., 1973). J. G. Reid, Mount Allison University: a history, to 1963 (2v., Toronto, 1984), 1. Waite, Man from Halifax. John Willis, A history of Dalhousie Law School (Toronto, 1979). A. J. Crockett, “George Munro, ‘The Publisher,’” Dalhousie Rev., 35 (1955–56): 328–38; 36 (1956–57): 69–83, 163–73, 279–85; reissued in book form in a limited edition (Halifax, 1957). D. C. Harvey, “The Dalhousie idea,” “The early struggles of Dalhousie,” “From college to university,” and “Dalhousie University established,” Dalhousie Rev., 17 (1937–38): 131–43, 311–26, 411–31, and 18 (1938–39): 50–66; repub. as An introduction to the history of Dalhousie University (Halifax, 1938). Judith Fingard, “MUNRO, GEORGE,” in Dictionary of Canadian Biography, vol. 12, University of Toronto/Université Laval, 2003–, accessed April 26, 2019, http://www.biographi.ca/en/bio/munro_george_12E.html.